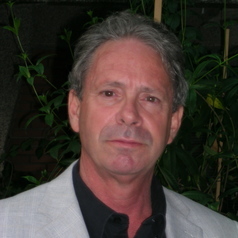 Dr. Michael H. Belzer is Associate Professor of Economics at Wayne State University, teaching industrial organization, macroeconomics, and transportation. He founded the Transportation Research Board Committee on Trucking Industry Research and served as chairman for 13 years, and remains a member of three TRB committees – Trucking Industry Research, Freight Economics and Regulation, and Truck and Bus Safety. He has served on the National Occupational Research Agenda / National Institute of Occupational Safety and Health Transport Sector Council since 2006, advising NIOSH and other researchers on commercial motor vehicle safety and CMV driver health issues. Dr. Belzer serves as an expert resource for numerous government agencies, and private sector firms and organizations. He is author of Sweatshops on Wheels: Winners and Losers in Trucking Deregulation (Oxford University Press, 2000) and Truck Driver Occupational Safety and Health: 2003 Conference Report and Selective Literature Review (with Gregory Saltzman (National Institute for Occupational Safety and Health, 2007) as well as numerous peer-reviewed articles and studies on trucking industry economics, labor, occupational safety and health, infrastructure, and operational issues. Dr. Belzer authored the book chapter "Labor and Human Resources" in Intermodal Transportation: Moving Freight in a Global Economy, edited by Lester Hoel, Genevieve Giuliano and Michael Meyer (Washington: Eno Foundation for Transportation, 2011).